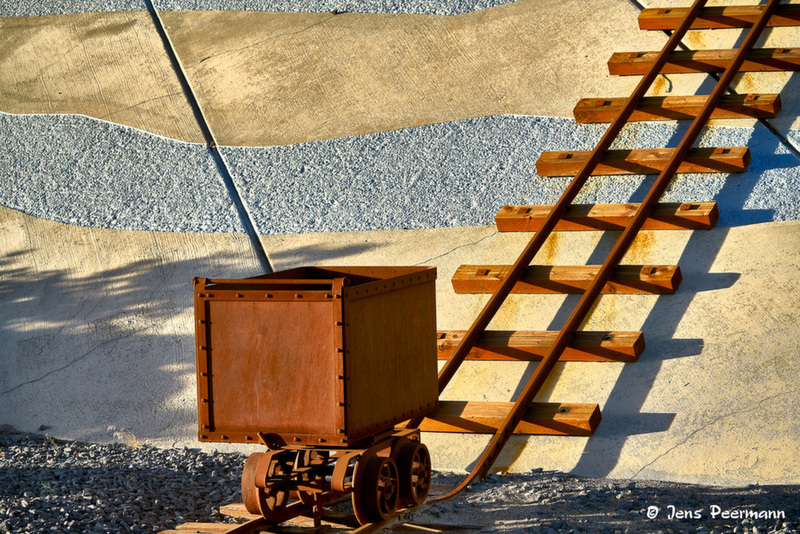 Part of a freeway art display honoring the mining history of Nevada, Carson City, NV. This is exciting- excellent design, color and interest. The shadows add a lot as well- I love the warm light and the overall mood. Interesting that it is a picture of an art display, which is in itself very nice. The photo takes it one step further so you could say there are two artists at work here. .
Another lovely study in lines, colour, light and shade, Jens. I like this even more than your previous one!